NEW YORK—For $100 you can get a stack of “drug money” at the Outsider Art Fair.  Yard Dog Art Gallery features the painted-wood sculptures by Campbell Bosworth—just one of fascinating finds at the fair which showcases the work of self-taught artists. Composed of wire, bottle caps and other found objects, the mixed-media ferris wheels by Gerard Cambon are intriguing, and Holly Farrell‘s realistic paintings of everyday objects have an all-American 1950s vibe and a beautiful shiny varnish. 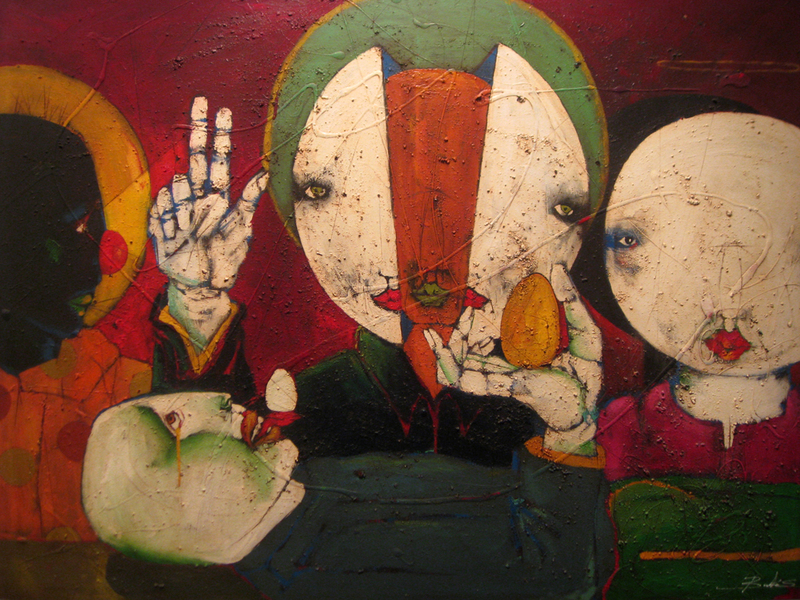 The common reference throughout the show’s works is the unique perspective and authentic voice of the artists. While vernacular art dominates the Outsider Art Fair, a wide variety of work that bridges categories is also represented at the 35 participating galleries. Many of the sculptures, paintings and works on paper would blend right in at a contemporary show. And the best part? The prices. Nothing is inexpensive, but the price points are far more affordable than those found at “fine art” shows. The fair is celebrating its 20th year and runs throughout the weekend, from Jan. 27 to 29, 2012. 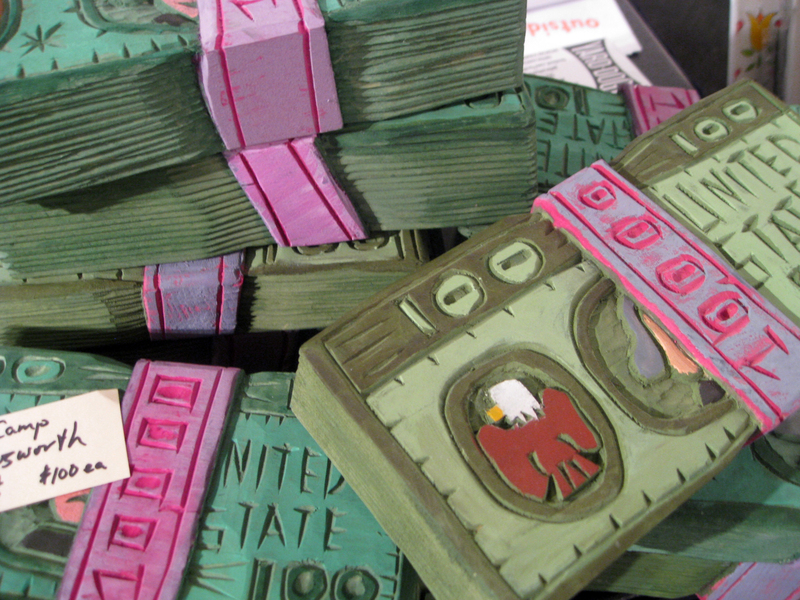 Above, “Drug Money,” 2010 (painted, carved wood) by Campbell Bosworth at Yard Dog Art Gallery. 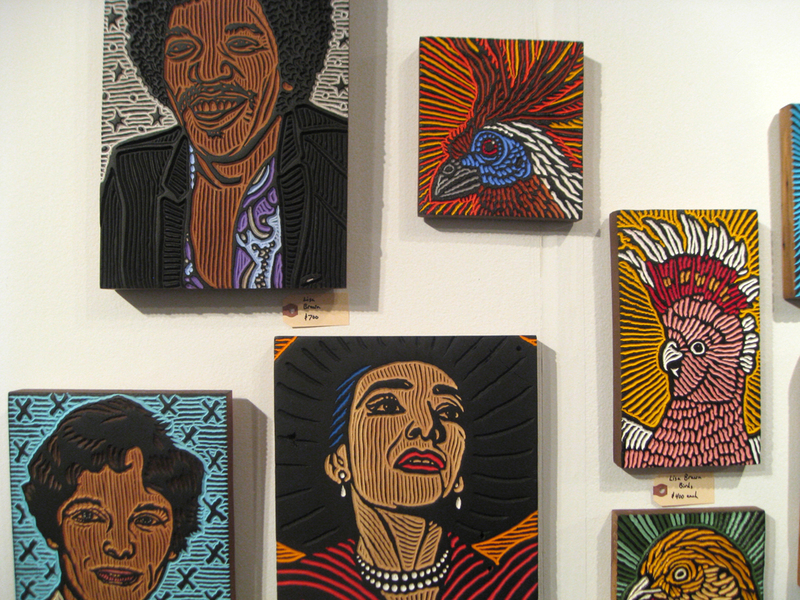 Wood cut portraits by Lisa Brawn at Yard Dog Art Gallery. 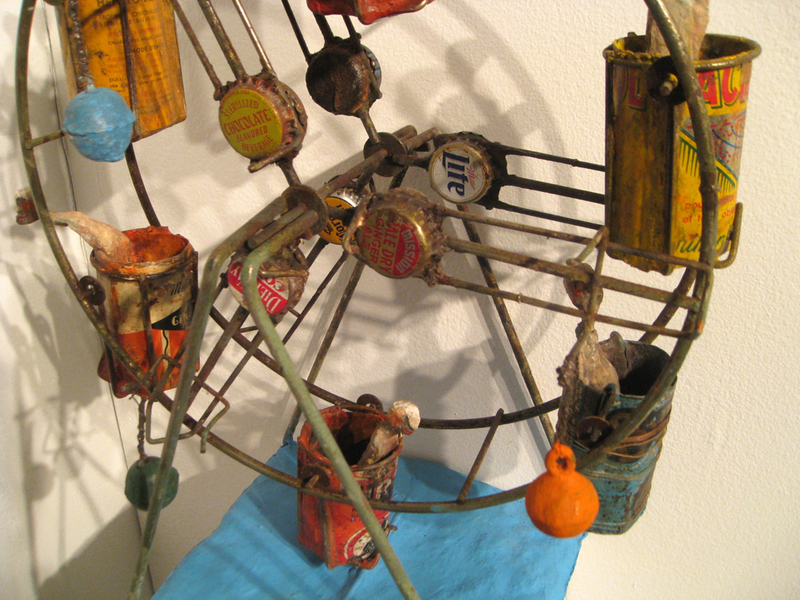 Detail of Gerard Cambon mixed-media ferris wheel at Judy A. Saslow Gallery. 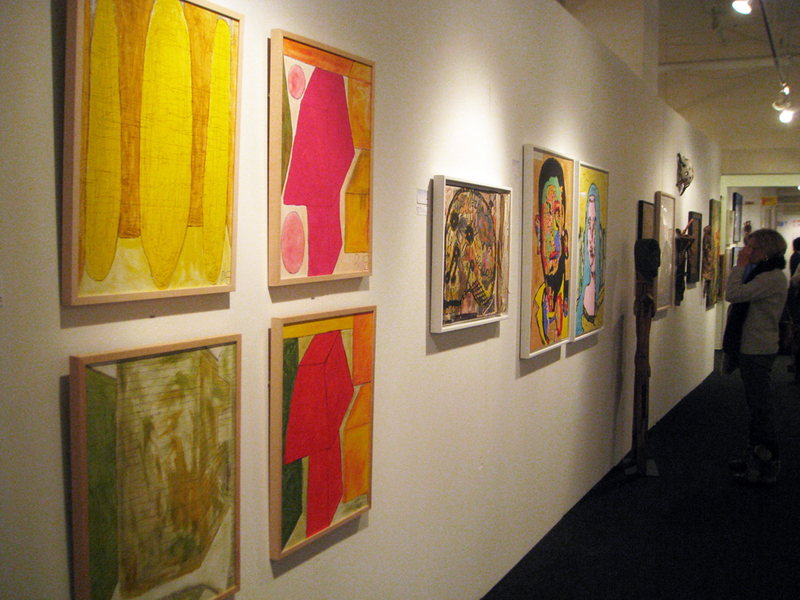 The 20th annual Outsider Art Fair includes 35 galleries featuring work by self-taught artists. 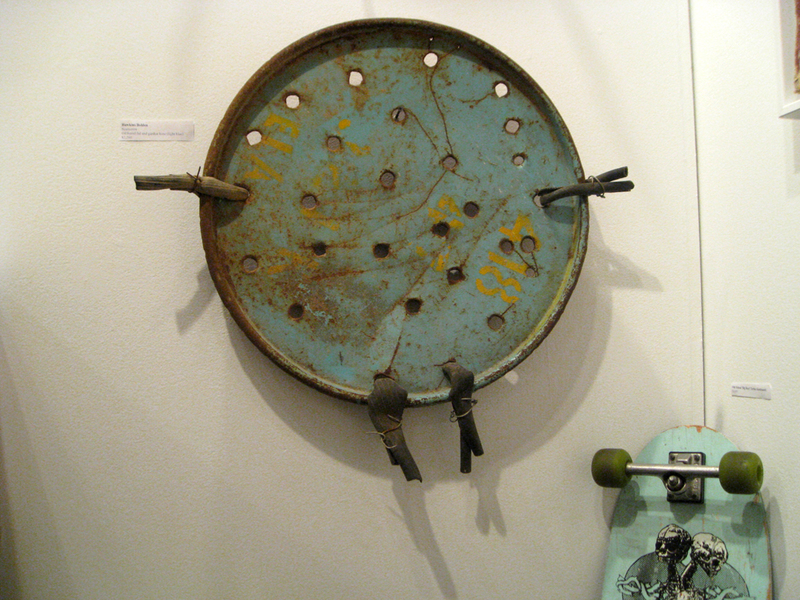 “Scarecrow (light blue),” (oil barrel lid garden hose) by Memphis-born Hawkins Bolden (1914-2005), shown with skateboard at MAKE Skateboards. 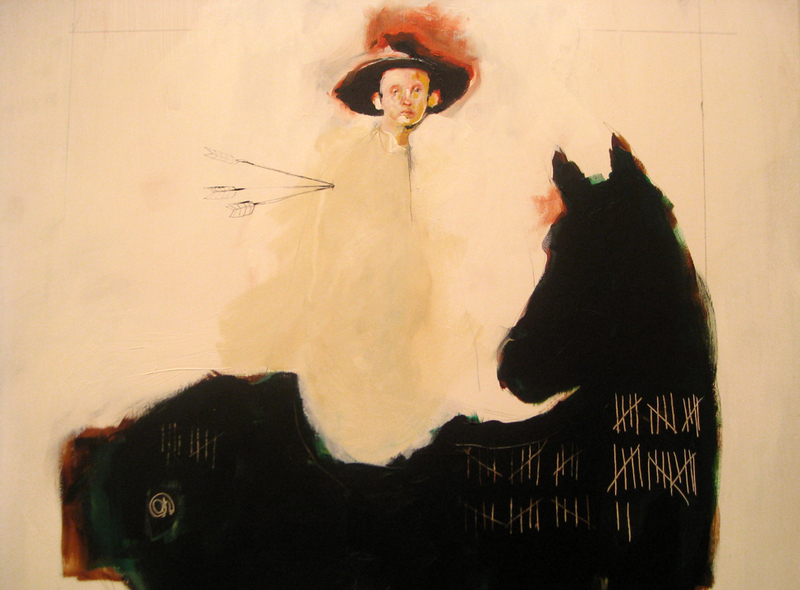 Detail of “Calvary Stance,” 2011 by Spencer Herr at Marcia Weber Art Objects. Detail of “A Trinity,” by Alabama artist Michael Banks at Marcia Weber Art Objects. 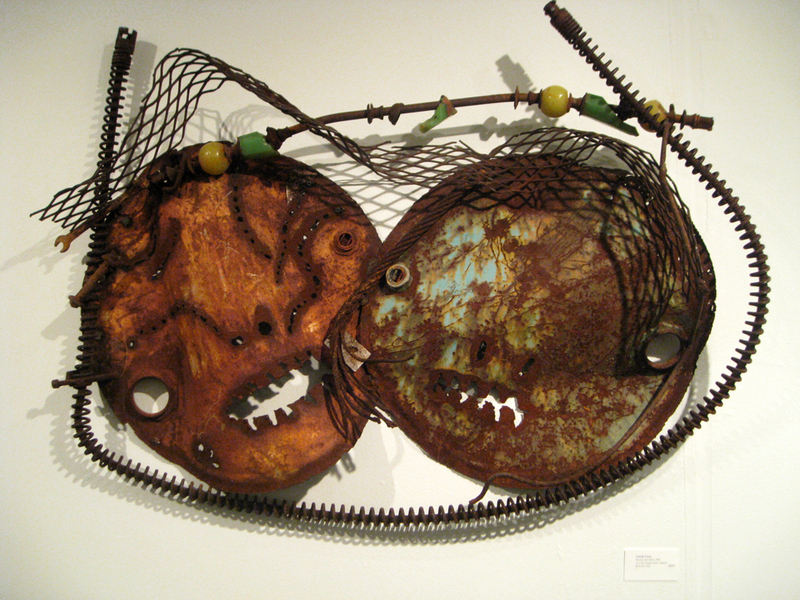 “Romeo and Juliet,” 2000 (found metal) by Alabama artist Charlie Lucas at Grey Carter – Objects of Art. 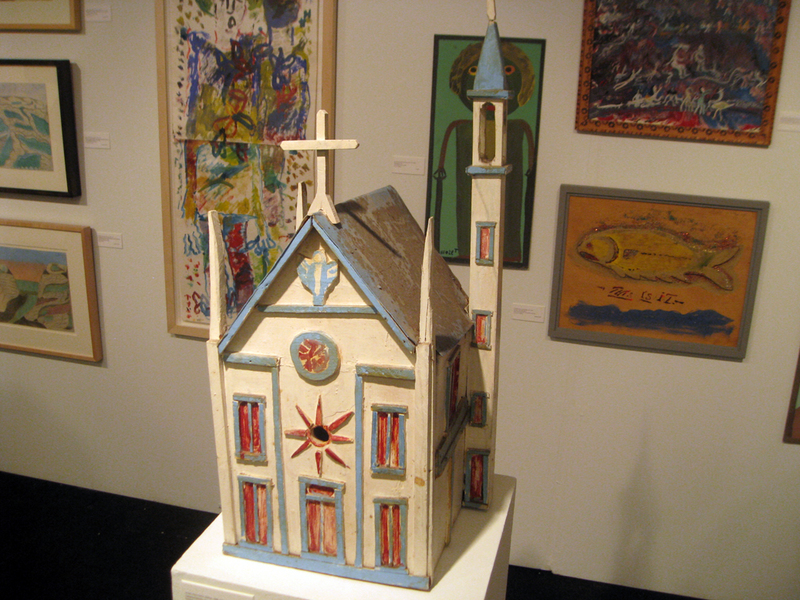 “Untitled (Church),” circa 1960s (painted and assembled wood and metal) by Aldo Piacenza (1888-1976) at Dean Jensen Gallery. 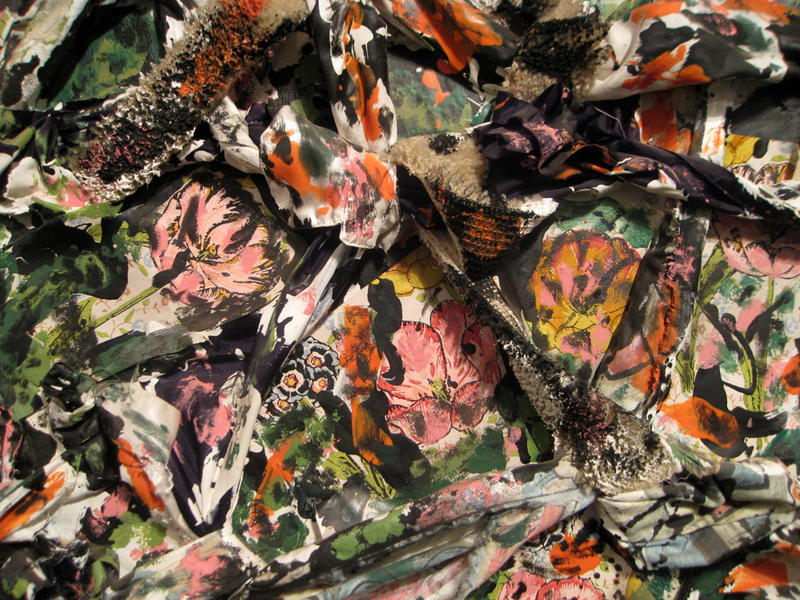 Detail of “Untitled,” (mixed media) by Alabama artist Thornton Dial at Andrew Edlin Gallery. 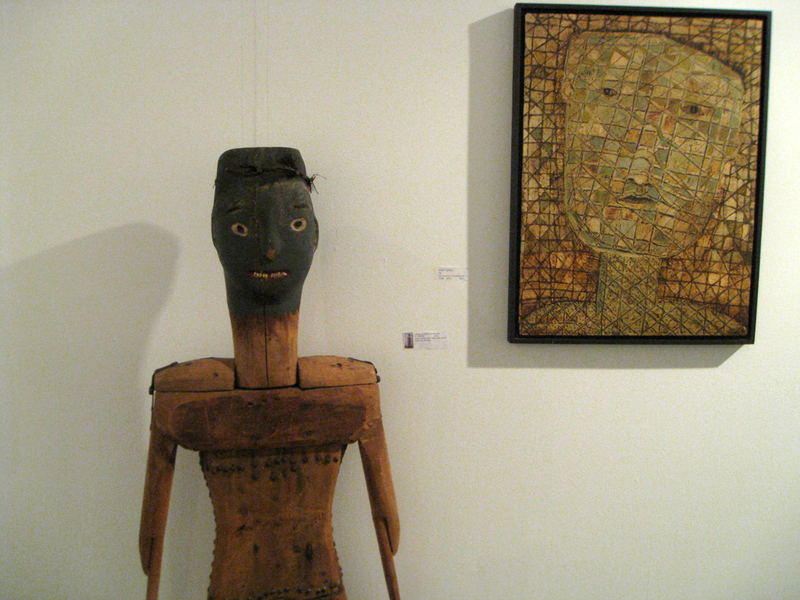 From left, “Life-Size Scarecrow Figure,” circa 1930-40s (wood, stone teeth, tacks with bits of cloth and feathers); “Tile,” 2002 (oil, enamel, wood panel) by Terry Turrell.